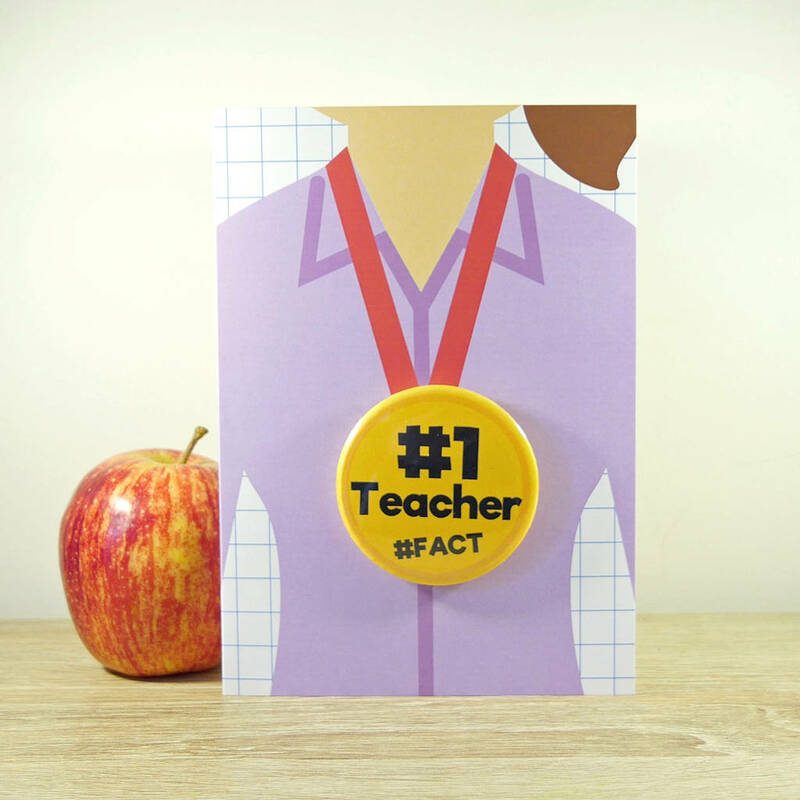 Let your teacher know how grateful you are by giving our "Number 1 Teacher" card with wearable pin badge. 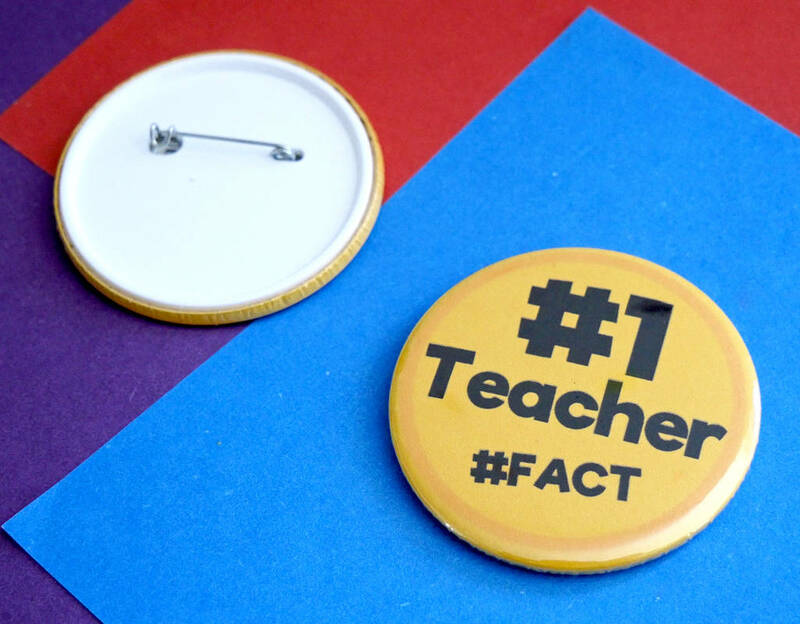 Teachers are great fun and so are badges! Teachers are special people. They train, inspire, motivate and open up minds to endless possibilities. The influence of a great teacher can never be erased. 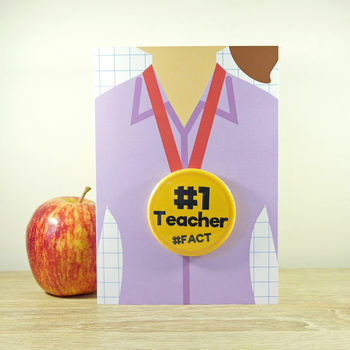 When it's time for them to retire, for you to graduate, or just because ~ make sure you say thank you for everything with this special card. Each card is blank inside which leaves plenty of room for your special message. 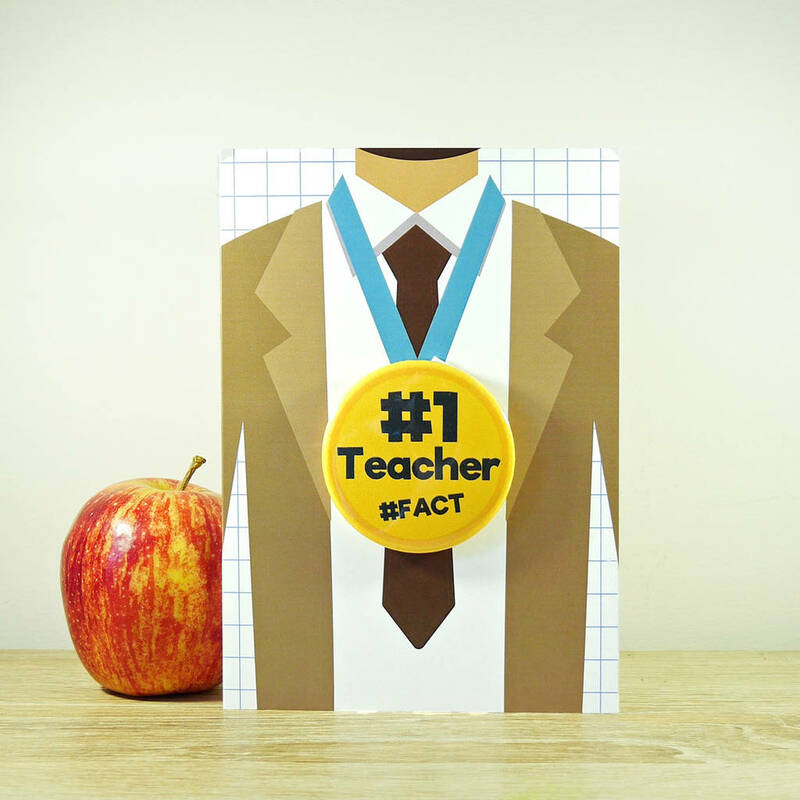 It also comes with a yellow envelope which compliments their speical badge. The card measures 17.5 x 12.5cm / 7" x 5". The badge is metal backed and is 2 1/4".